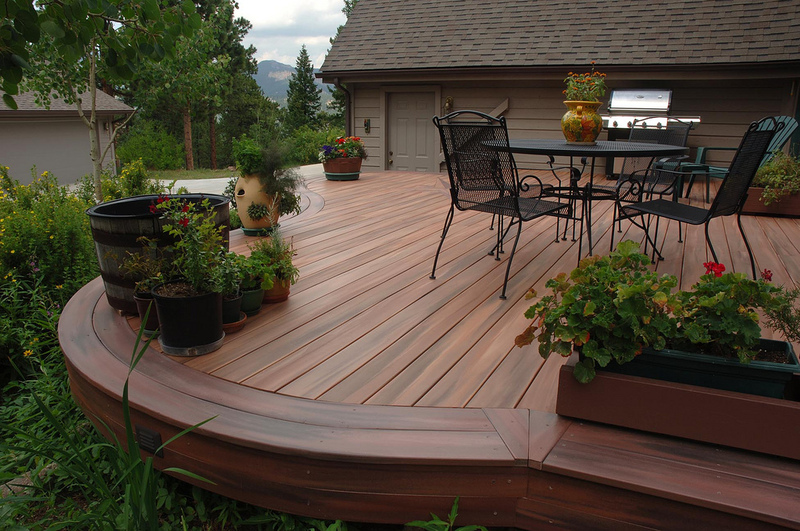 Here at eDecks we stock a wide range of timber treatments to ensure you can get your decking looking its very best as well as prolonging its life. 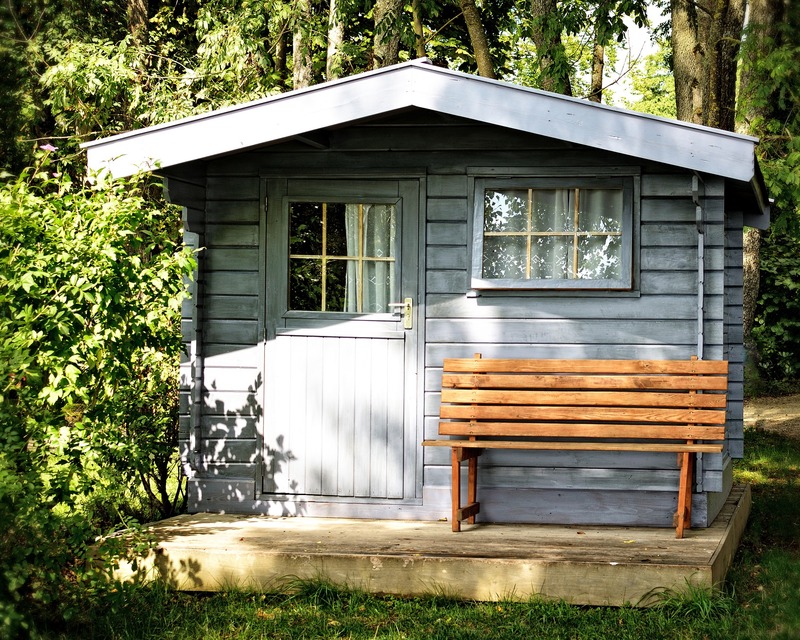 With so many options to choose from, it can be a little overwhelming, so we have put together this guide to give you a little more information on which product can be used when and where. 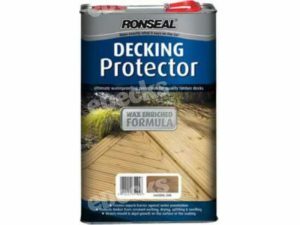 Ronseal’s traditional Decking Oil nourishes and protects the decking boards, leaving a lightly tinted finish. 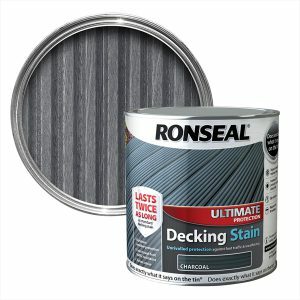 It becomes rainproof in just two hours and can be given a further coat in just six hours to stop water soaking in and damaging your deck. 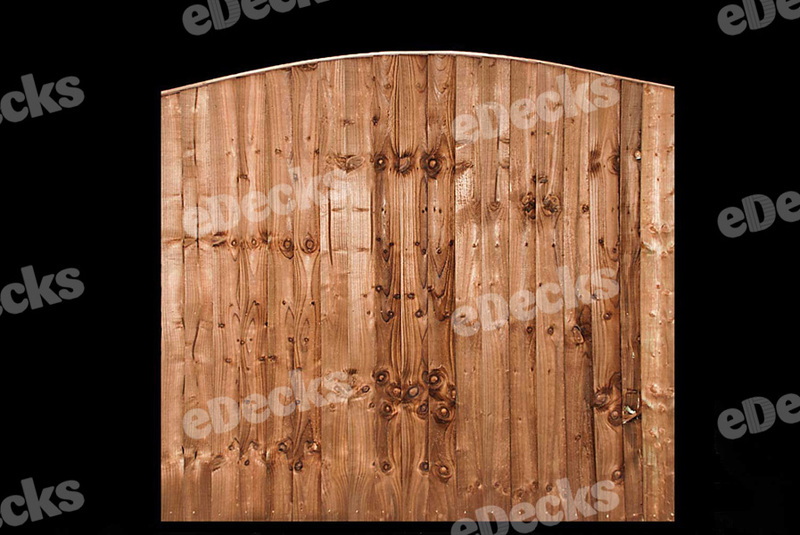 Decking Oil also protects your timber against the sun so that it doesn’t turn grey. 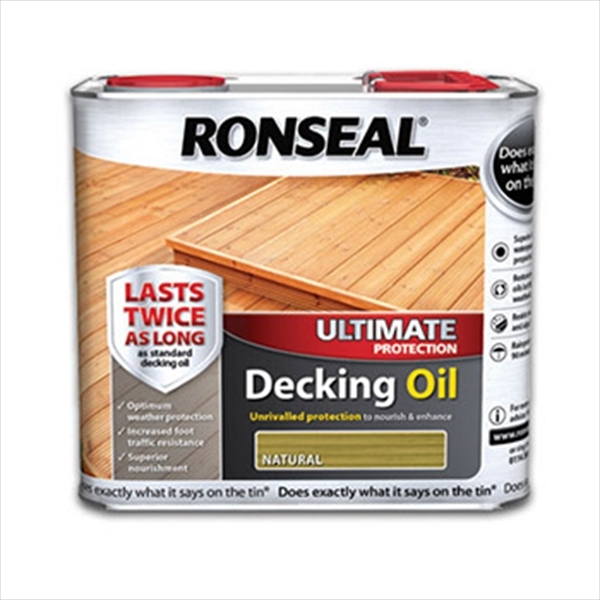 In a nutshell, Ronseal Decking Oil will restore the wood’s natural oils, prevent colour fade, protects against scruffs and scratches and leaves a lovely, natural finish. 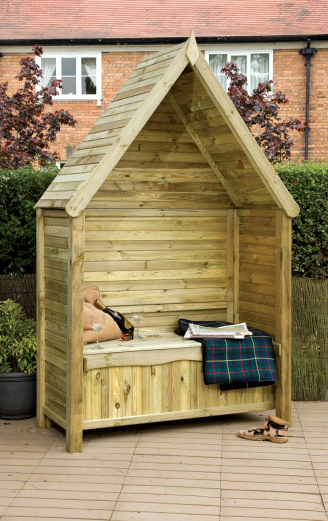 There are four shades available including Natural, Natural Cedar, Natural Oak, and Natural Pine and a 5 Litre tin will cover up to 10 m² with two coats. 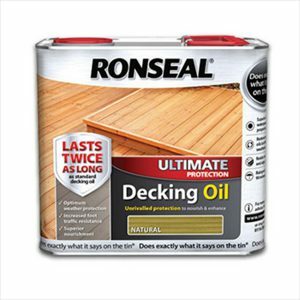 Ronseal’s Decking Stain leaves a tough finish that protects your timber against the weather as well as general wear and tear. The Decking Stain dries in just 90 minutes so it will be ready for action in no time and it is super easy to apply onto softwood or hardwood decking with just a brush. 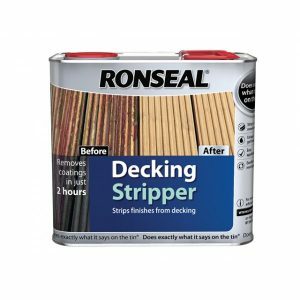 For best results, it is recommended to firstly prepare your decking with the Ronseal High Performance Decking and Garden Cleaner. 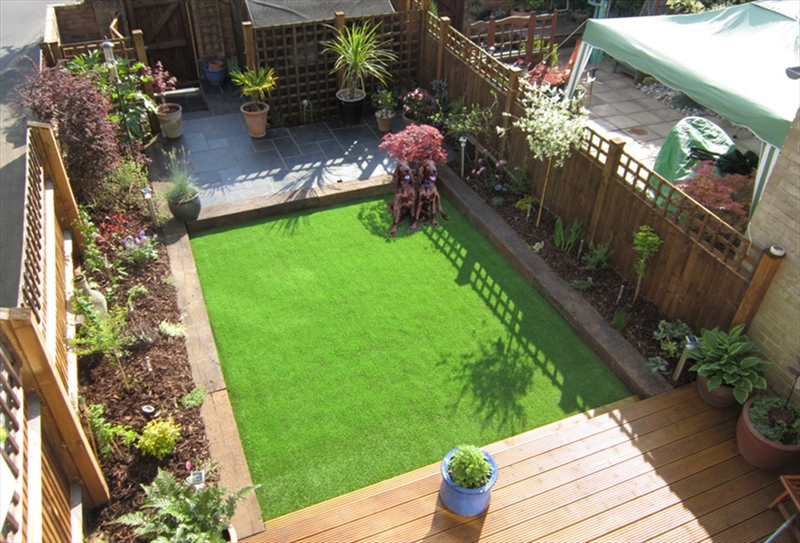 By using the Decking Stain, you will find that it stops wood from greying, is rainproof in just 90 minutes, resists cracking, blistering and peeling and only needs two coats to be at its potential. 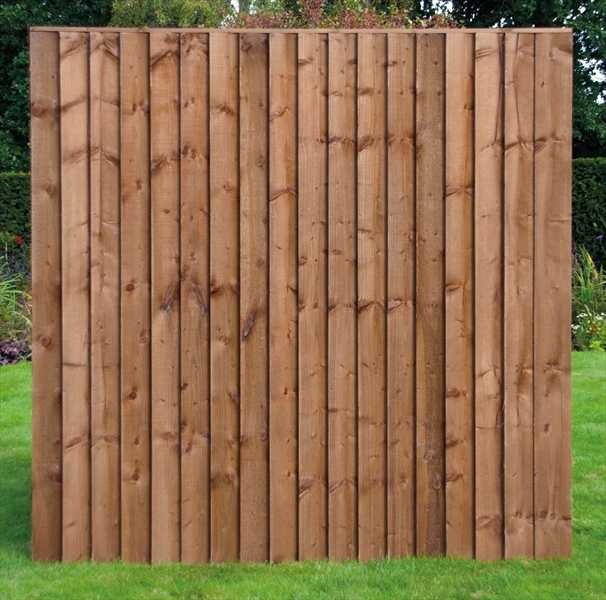 There are six colours available, including Rustic Pine, Rich Teak, Country Oak, Rich Mahogany, Mountain Green and Golden Cedar and a 2.5 Litre tin will cover 10 m² with two coats. 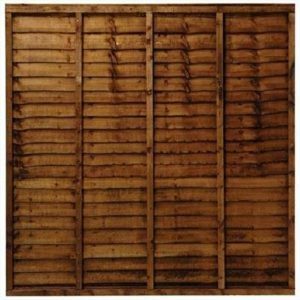 An end grain preserver will protect the cut ends of your decking to keep the wood strong and is highly waterproof so will protect the timber from rot and decay. 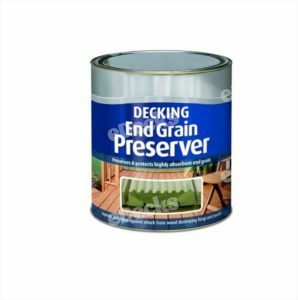 To further protect your decking from the elements, End Grain Preserver can be painted over with a decking stain or oil. 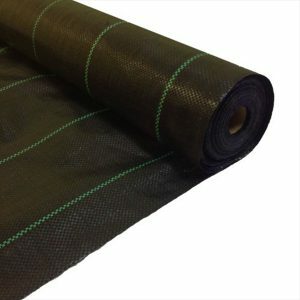 It does take 24 hours to dry, but this then keeps your deck strong and protected from water damage. 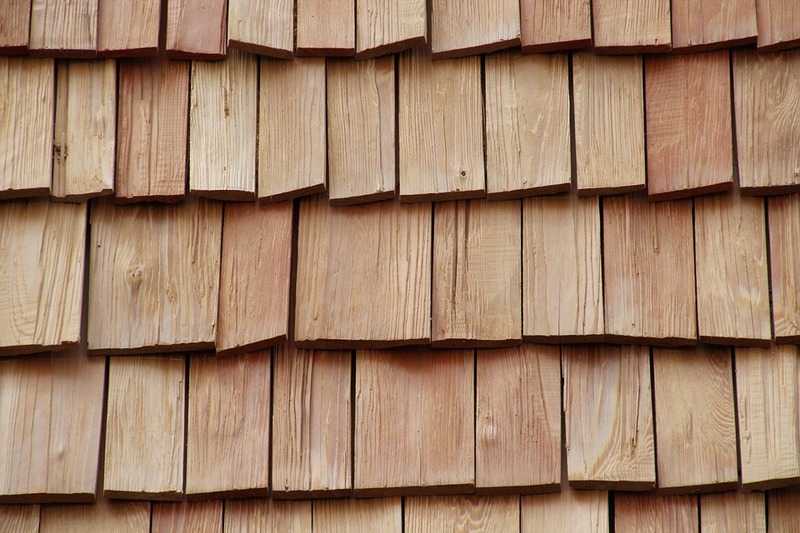 Coverage-wise, one litre of End Grain Preserver will cover up to 8 m². 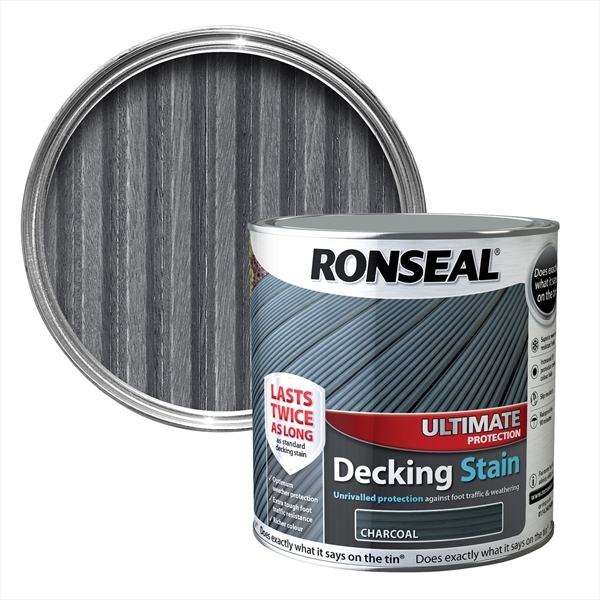 If your current decking is looking a little weathered, you can use Ronseal’s Decking Restorer to save it and put life back into it without having the expense of buying new. 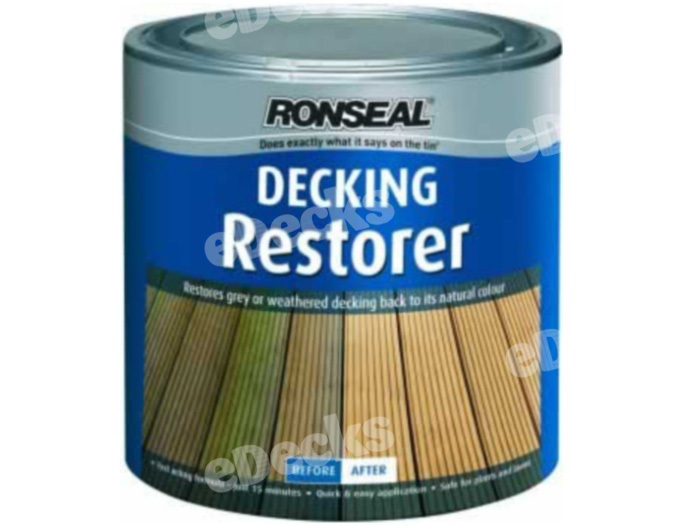 The Decking Restorer is quick and easy to use and will fully restore your deck back it its original colour, resulting in bare natural wood which is ready to be protected. 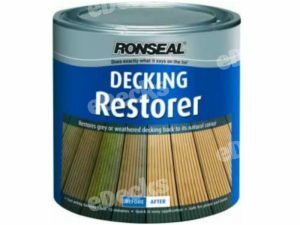 Decking Restorer works in just 15 minutes, helps your decking to last longer and brightens and cleans the wood. 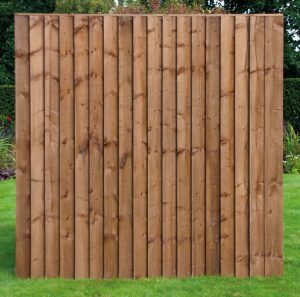 A one litre tin will cover 15 m² of timber. 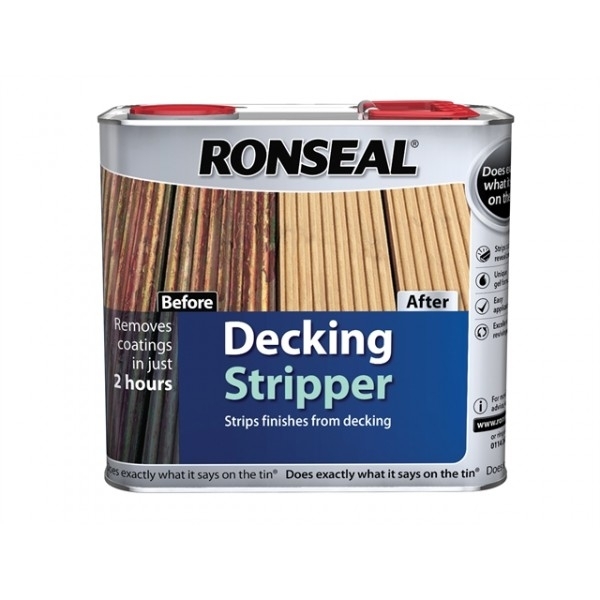 Ronseal’s Decking Stripper works at stripping all stains and oils off of your wooden decking. It takes just one coat of the treatment and starts to work in just thirty minutes, leaving your decking looking like new, in preparation for a stain or oil. 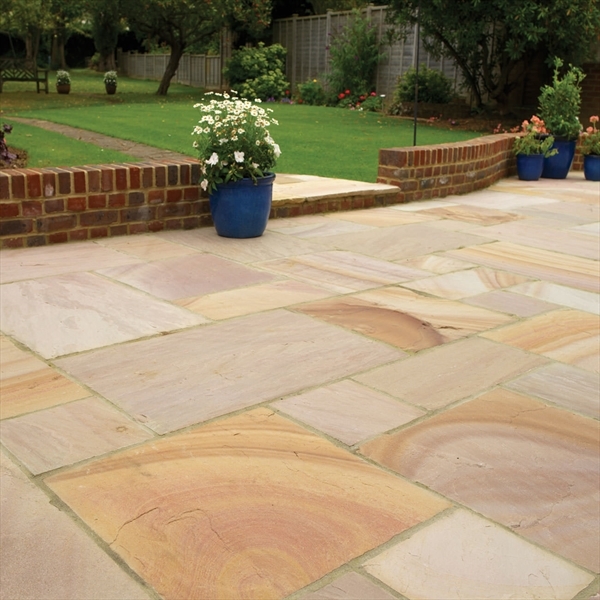 It is really easy to use, and helps wonders if you are wanting to give your deck a new lease of life. 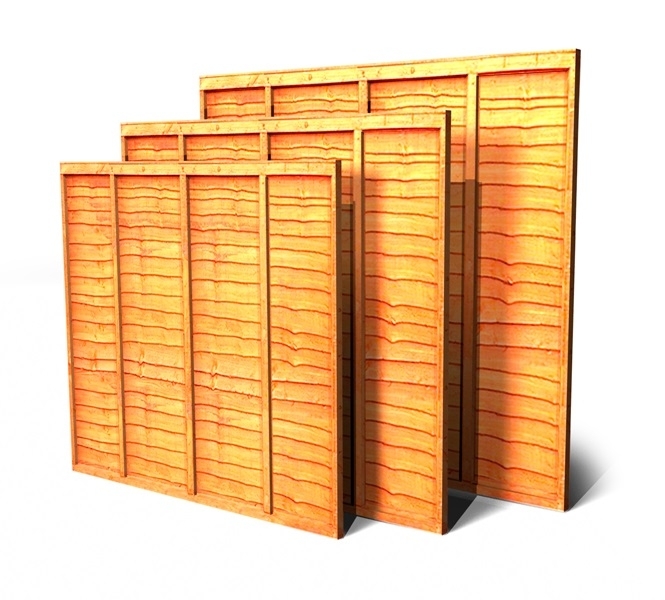 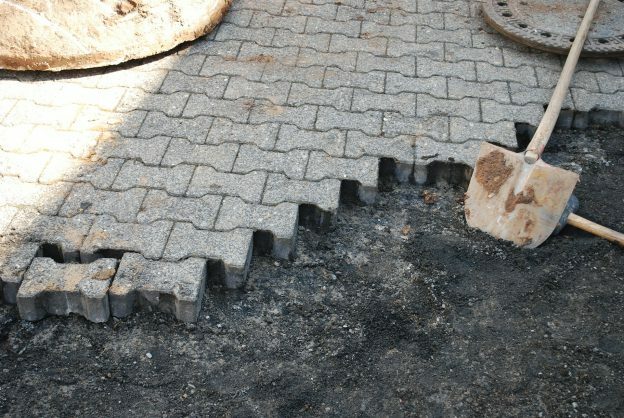 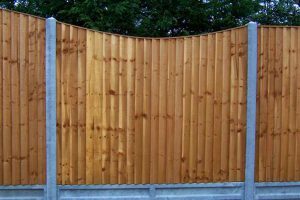 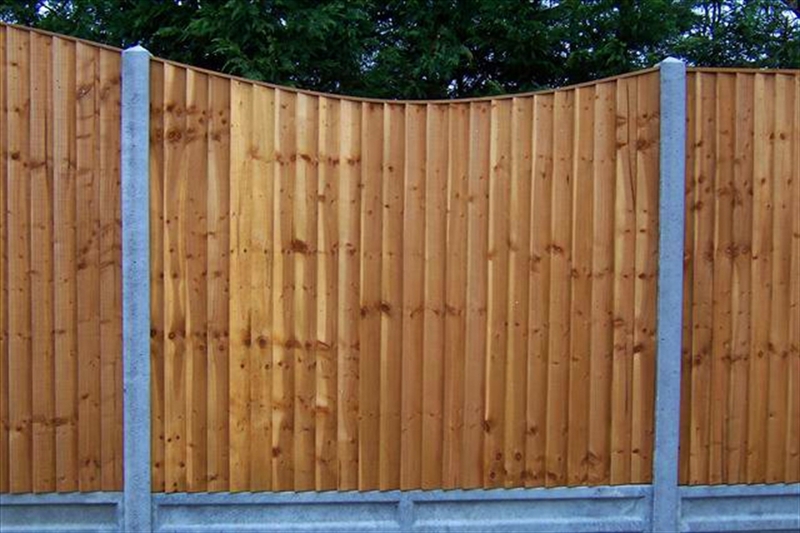 You will find that on average, a one litre tin covers 10 m² of decking. 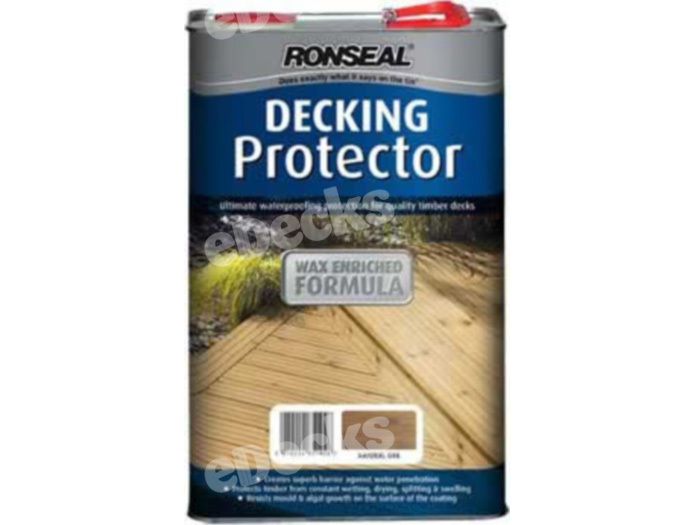 The Ronseal Decking Protector gives added protection to your decking against the rain and sun, which is going to add longevity of life to your deck as rain can lead to rot and the sun can turn your timber grey. 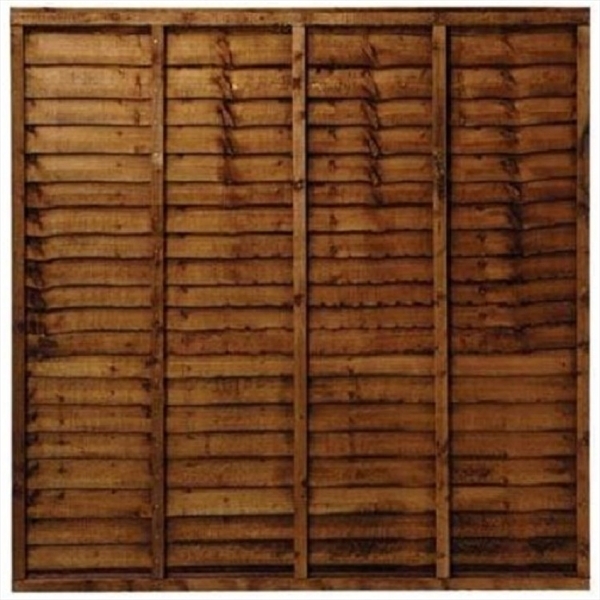 It also makes your decking waterproof to stop any splitting and swelling, is scuff resistant and although it comes in two shades – Natural and Natural Oak, it has a nice translucent finish. With regards to coverage, one litre covers 6 m². 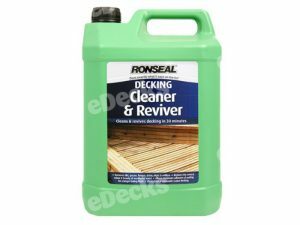 If your decking needs a spruce up, the Ronseal Decking Cleaner and Reviver prepares new wood and keeps old and new wood clean. 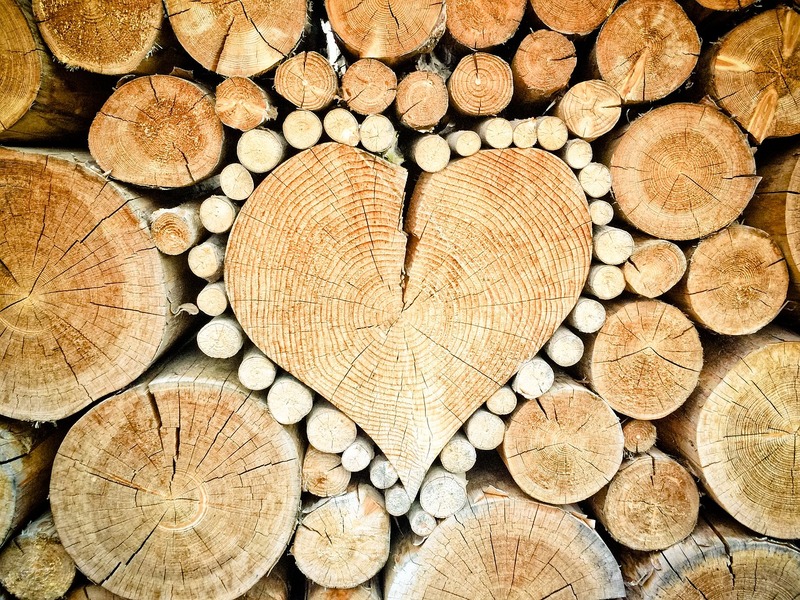 It is beneficial to use before applying a stain or oil as it works as a primer and you will find that the stain or oil sticks to the timber better, giving a longer professional finish. The Decking Cleaner and Reviver helps to make your coating last longer, is fact acting and removes mould and algae. 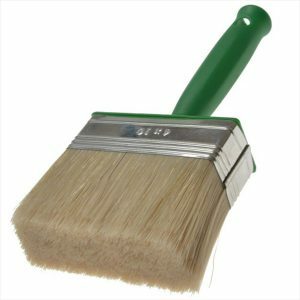 Here at eDecks you can also find a variety of brushes, including Ronseal branded brushes to help you apply your chosen Timber Treatments, which start at just £2.99! 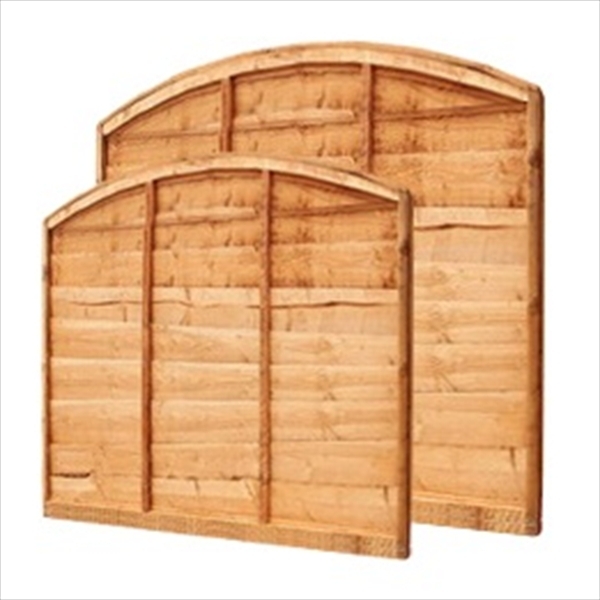 Super-fast delivery starts at just £7.19! This entry was posted in decking, Decking Accessories, diy, gardening, Gardening Advice and tagged decking, diy, gardening, preserve, protect, restore, stripper, timber treatment on February 13, 2018 by eDecks. 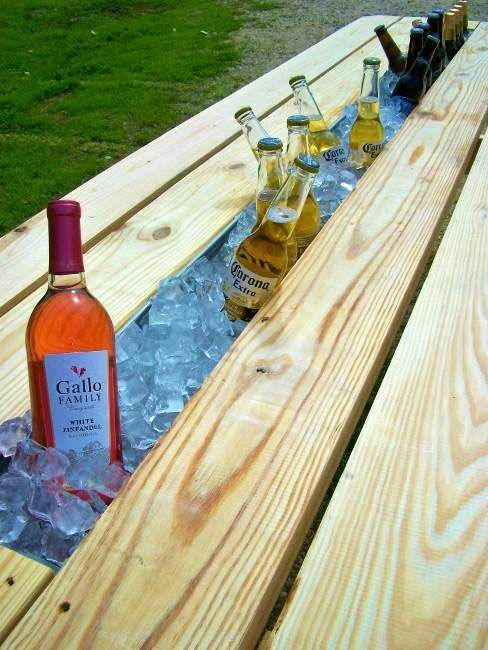 This entry was posted in Garden Design Ideas, Gardening Advice on March 8, 2017 by peach. 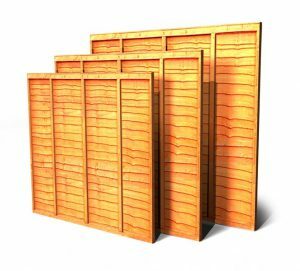 This entry was posted in Gardening Advice on February 28, 2017 by peach.